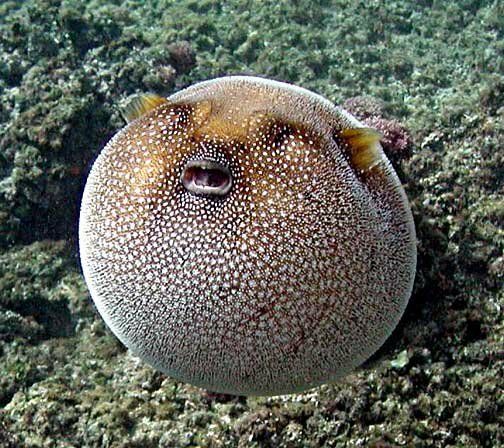 The pufferfish is the most venomous marine creature (fish) found in the tropical and subtropical ocean waters. Pufferfish Poisoning occurs from eating incorrectly prepared and served pufferfish meat. What are the Causes of Pufferfish Poisoning? What are the Signs and Symptoms of Pufferfish Poisoning? How is First Aid administered for Pufferfish Poisoning? If a Pufferfish Poisoning is suspected, it is always important to call your local emergency helpline number (or 911 in the US) without any delay, and provide as much information as possible, even if the individual does not have any symptoms. Who should administer First Aid for Pufferfish Poisoning? What is the Prognosis of Pufferfish Poisoning? The prognosis of Pufferfish Poisoning is dependent on the amount of portion consumed, the severity of reaction, and timely manner in which treatment is administered. How can Pufferfish Poisoning be Prevented? Lange, W. R. (1990). Puffer fish poisoning. American family physician, 42(4), 1029-1033. Lau, F. L., Wong, C. K., & Yip, S. H. (1995). Puffer fish poisoning. Journal of accident & emergency medicine, 12(3), 214. Field, J. (1998). Puffer fish poisoning. Emergency Medicine Journal, 15(5), 334-336. Sims, J. K., & Ostman, D. C. (1986). Pufferfish poisoning: emergency diagnosis and management of mild human tetrodotoxication. Annals of emergency medicine, 15(9), 1094-1098. Haque, M. A., Islam, Q. T., & Ekram, A. S. (2008). Puffer fish poisoning. TAJ: Journal of Teachers Association, 21(2), 199-202. Millichap, J. (2005). Puffer Fish Poisoning. Pediatric Neurology Briefs, 19(3). Azizul, M., Tarikul, Q., & Saifuddin, A. R. M. (2009). Puffer Fish Poisoning. Ababou, A., Mosadik, A., Squali, J., Fikri, K. O., Lazreq, C., & Sbihi, A. (2000, March). Puffer fish poisoning. In Annales francaises d'anesthesie et de reanimation (Vol. 19, No. 3, pp. 188-190). Landsberg, J. H., Hall, S., Johannessen, J. N., White, K. D., Conrad, S. M., Abbott, J. P., ... & Etheridge, S. M. (2006). Saxitoxin puffer fish poisoning in the United States, with the first report of Pyrodinium bahamense as the putative toxin source. Environmental Health Perspectives, 114(10), 1502.